You are in the Hotspot of the Alps and do not know what to do here? From quiet nature parks to action-packed James Bond - this and more on the Sölden experience mile.The experience extends from the Gaislachkoglbahn to the Freizeitarena, along the Ötztaler Ache, exactly one mile. 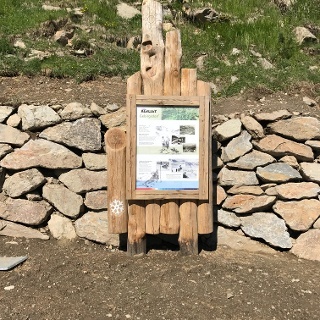 On this route are various stations to the five themes ALMZEIT, Natural Park, BIKE REPUBLIC, Sölden in winter and James Bond. 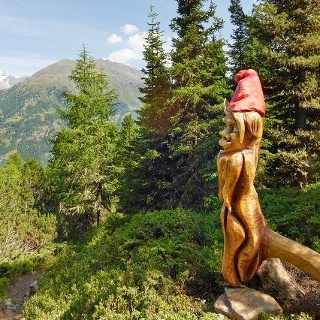 The ALMZEIT theme trail offers great adventures for children and small trips for parents. He shows how diverse Söldens are mountains, paths and huts. Whether climbing and krambling, walking or strolling, sunbathing or playing, the ALMZEIT offers something for everyone. 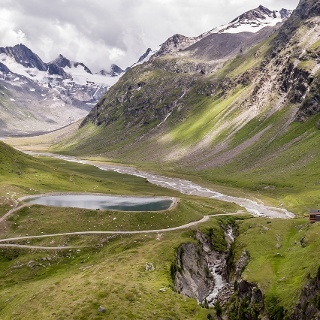 The Ötztal Natural Park covers all the protected areas in the Ötz Valley as an overriding roof. 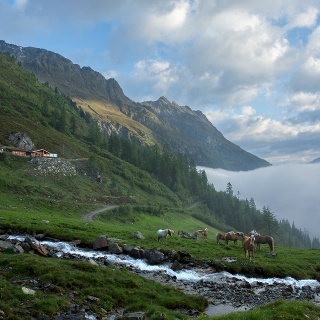 It stretches from the bottom of the valley into a high alpine region formed by glaciers. 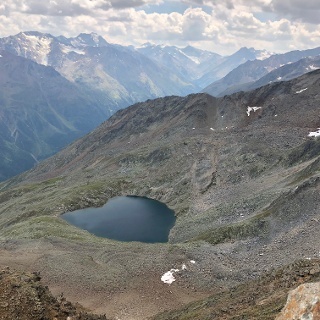 The highest point is the Wildspitze with 3.774 m. The objectives of the Naturpark Ötztal include 5 areas: conservation of nature and landscape, promotion of recreation, education, research and regional development. A republic in which all bikers feel at home: touring bikers on the tens of routes, flow trailers on our surfing lines, endurists on the endless trails. With us, the hitched trails for experts as well as nature trails - and they are all flanked by excellent retreats. A republic to feel good and have fun!Sölden in the winter. Whether you want to spend your day relaxing in the swimming pool or on the slopes, we offer you everything to make your winter holiday perfect. If you do not know what type of holiday you are, the decision tree on the experience mile should help you. Sölden and James Bond, that was love at first sight. Director and Oscar winner Sam Mendes is looking for fascinating and fascinating filming locations for "Specter" in the Alps. He immediately fell in love with the winter sports metropolis. Sölden is the scene of the scene, which was described by the producer as the heart of the film. Convince yourself of it. There is also a barrier-free alternative to this route. Just follow the directions to the new social center and then change over the bridge to the other side of the Ötztaler Ache. Follow this path until you come to the bridge which you cross. 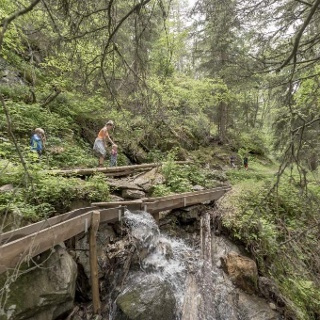 At the end of this bridge you can follow the gravel road along the Ötztaler Ache and return to the regular route of the adventure mile. From the Freizeitarena you go to the Parkhotel, from there you can already see the first stop of the adventure mile - Almzeit Themenweg. 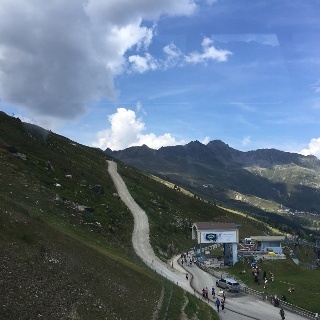 Then you continue on this path, past the new social center Sölden, a steep ascent to the BIKE REPUBLIC station. From there it goes down again to the village of Windau, where you continue along the gravel road, right next to the Ötztaler Ache. Follow this path until it ends at a wooden bridge that takes you across the Ötztaler Ache to the valley station of the Gaislachkoglbahn. All parking is free during the day.